There is a buzz in the auto industry, as the Mercedes sold out the entire lot of M Class SUVs within a week from its launch. Priced at Rs 57 lacs, the Mercedes-Benz ML350 CDI was targeting 500 units for the current calendar, while the first batch of 100 units got booked in a week from its launch. Looking at the success of its luxury SUVs in the Indian market, the German luxury automaker is contemplating the launch of a smaller M Class, the Mercedes-Benz ML 250 CDI. 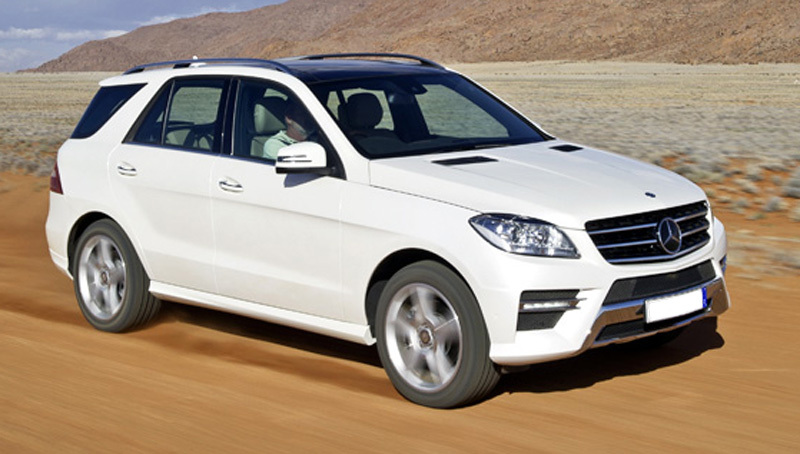 The Mercedes-Benz ML350 CDI is a remarkable SUV with tough off-roading capabilities, while the ML 250 CDI will be a soft off-roader sporting a 2.2-litre CRDe. This unit will be mated to a 7G-Tronic gearbox featuring Mercedes–Benz iconic 4MATIC Drive System, driving power to all four wheels. Power output is expected around 204 PS with a staggering 500 Nm torque, for radical off-roading. With a smaller engine size, Mercedes will be able to offer class-leading fuel-economy and groundbreaking performance. To battle against the BMW X3 and Audi Q5, Mercs will have to strip down certain features from the ML350 CDI and give a competitive price tag to the new ML 250 CDI. Expect a starting price of Rs50 lacs.